Additional resources are just a click away. 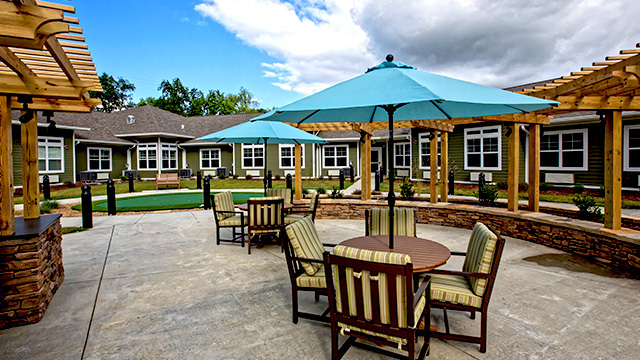 Oakmont at Gordon Park welcomes and encourages the active participation of adult children, loved ones or other caregivers in the process of choosing Oakmont and throughout the life of the resident in the community. Following, we’ve addressed a number of questions that frequently arise when discussing a senior living community like Oakmont at Gordon Park. As you learn more about the community – or your retirement information search in general- other questions may arise. Give us a call. We invite you to call for a personal tour or for additional information. How will I know it’s time for my loved one to move into an assisted living community – and what are the first steps? That’s a great question. The aging process includes a natural slowing down, and having known your parent or loved one over a period of years you may see that certain day-to-day functions – such as bathing, dressing, grooming, eating, and remembering to take medications – have become a challenge. You may find yourself questioning how viable it is for that person to live on his or her own, and you have a natural concern for their safety and well-being. Many people will begin the process of seeking an appropriate retirement community – touring various communities and talking with staff on behalf of their aging loved one – to discover the options and opportunities available. Then, being prepared in this way, drawing draw their parent into the conversation. My father’s memory isn’t nearly what it used to be. How will I know if it’s dementia, as opposed to just getting on in years? Some degree of memory loss is normal with aging. It goes with the territory. To be considered dementia, symptoms need to affect more than one area of brain function significantly enough to interfere with everyday life. Memory loss is a common example, as you’ve noticed – your loved one may have difficulties forming new memories. Communication is another key area. Your father may experience challenges in processing speech and language- finding the right words. Changes in mood are common: such as depression, apathy, or a change in personality. He may be confused, or be challenged in his sense of direction and spatial orientation. He may experience a decline in judgment – his ability to consider facts and come to a reasonable conclusion. You may be in a good position to observe and monitor subtle changes such as these in your loved one. It’s also a good idea to talk with your father’s doctor and share your concerns. My mother has been diagnosed with progressive dementia. What should I be looking for? With stage one, there is no impairment. There is no significant memory problem, judgment is normal, and your loved one is fully able to care for their personal needs. Stage two is characterized by slight impairments, such as memory inconsistencies and struggles with timing or solving problems. They can still manage personal care without any help. Stage three is a noticeable but mild impairment in areas such as short-term memory, disorientation and getting around. Chores may begin to be neglected. Reminders are needed for such things as personal hygiene. A person with stage four has a moderate impairment. Though well enough to go out, they need to be accompanied for social activities and chores. Stage five is severe impairment – the inability to function without help. Stage 5 is characterized by extreme memory loss, confusion and lack of orientation. At this stage, everyday functions are almost impossible, even with assistance. These questions are interesting, but don’t cover my specific question or concern. Any general advice? Yes. Please feel free to think of us at Oakmont at Gordon Park as a resource. Give us a call. We will likely have excellent guidance, or have a pretty good idea on where to direct you to get your questions answered. In the meantime, the Helpful Links section includes a number of the leading online organizations and resources. We hope that helps! Assisting your parents or loved ones as they explore retirement community options often requires a little translation. You’ll notice some terms pop up frequently. Hopefully this brief glossary will help you differentiate plans, services and senior living options. The federal health insurance program called Medicare is designed for people who are 65 and older, certain younger people with disabilities, and people with End-Stage Renal Disease. Medicare Parts A, B, C and D cover specific services and care. Financed by state and federal governments, Medicaid is the program of medical assistance designed for those unable to afford regular medical service—available to fund care in a skilled nursing setting. Services designed to help an individual recover from an injury, operation, stroke or illness. 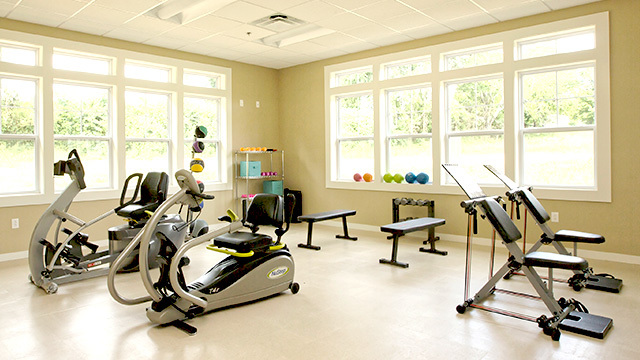 These may include physical therapy, occupational therapy and speech therapy. In most cases, services are planned to help the patient return as closely as possible to pre-challenge levels. The services may be residential (inpatient), or outpatient, and may be short- or long-term, depending on the needs of the patient. Many organizations dedicated to seniors and senior care offer useful information and details on their websites. We’ve assembled a collection of links to helpful resources. Alzheimer’s Association is the leading voluntary health organization in Alzheimer’s care, support, and research. Arthritis Foundation provides members with specialist referrals, Arthritis Today magazine, and updates on the newest research. LeadingAge is focused on advocacy of effective services for seniors including home health, hospice, assisted living, continuing care and more. 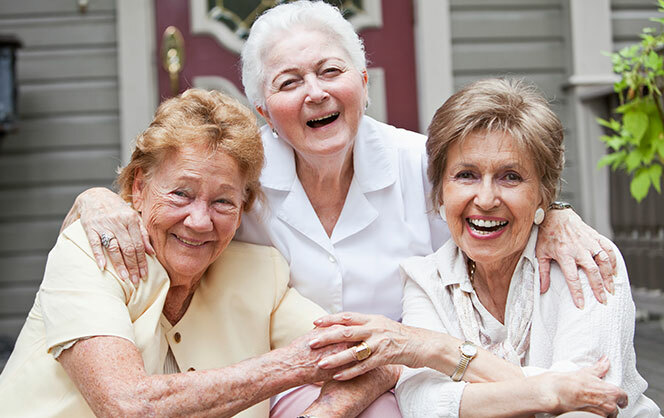 Elder Law Answers supports seniors, their families, and their attorneys in legal issues surrounding aging.